I wanted to surprise my girlfriend for her birthday with a customized cake and stumbled upon Patty’s Cakes and Desserts website. I was able to order a customized cake online with an edible picture of us by simply uploading an image online. I couldn’t have been more happy with how the confetti cake turned out. Not only was it beautiful prepared, but it was also super delicious. Will definitely be getting future cakes here! Received these delicious cupcakes from my sister, on my birthday. She ordered them and had them delivered. I thoroughly enjoyed them with my family. We have trusted Patty’s cakes for two years to make my daughter her delicious birthday cakes. We continually recommend them to all of our friends and family. My husband randomly craved a cupcake so we just searched cupcake places near us on maps and this place popped up along with Sprinkles. 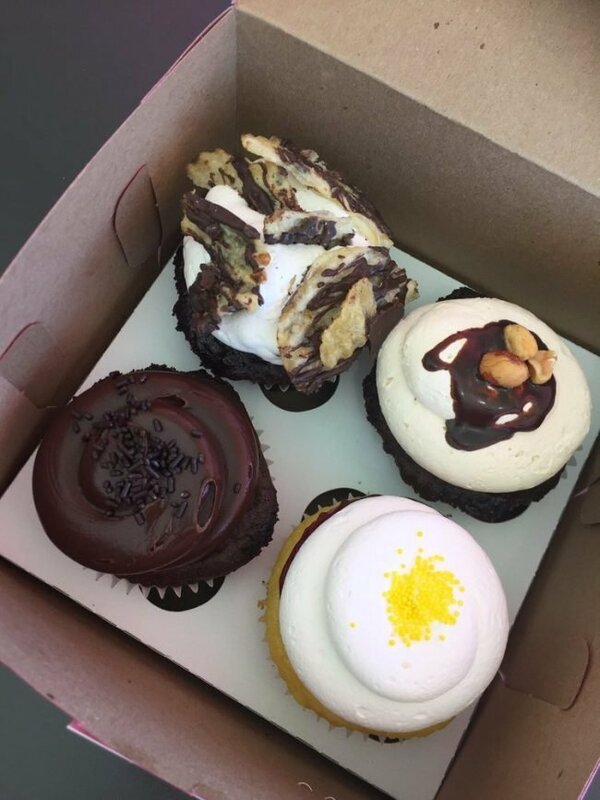 I always seem to get dry cupcakes at Sprinkles, so we tried Patty’s caked for the first time. SO GLAD WE DID! This place is incredible! So delicious. We will definitely be back. And I usually don’t even like cupcakes! !